A particular challenge Buxton Museum will face when redeveloping our popular Wonders of the Peak gallery is the Early Medieval period, or, to be more precise, 400 – 1100. It is a huge period, but it is also a time that, until recently, has lacked popular appeal. There have been a lot of new research over the last 30 years and we need to update the gallery to include this in the story of the Peak District. The High Peak was a less populated region than today. It was also a tumultuous time. For much of it England was divided into separate kingdoms, and from the 8th century onwards the country was subjected to Viking attacks, invasion and settlement. Part of the reason this is a difficult period to document is that little written material survives from then, certainly in comparison to the Late Medieval period. 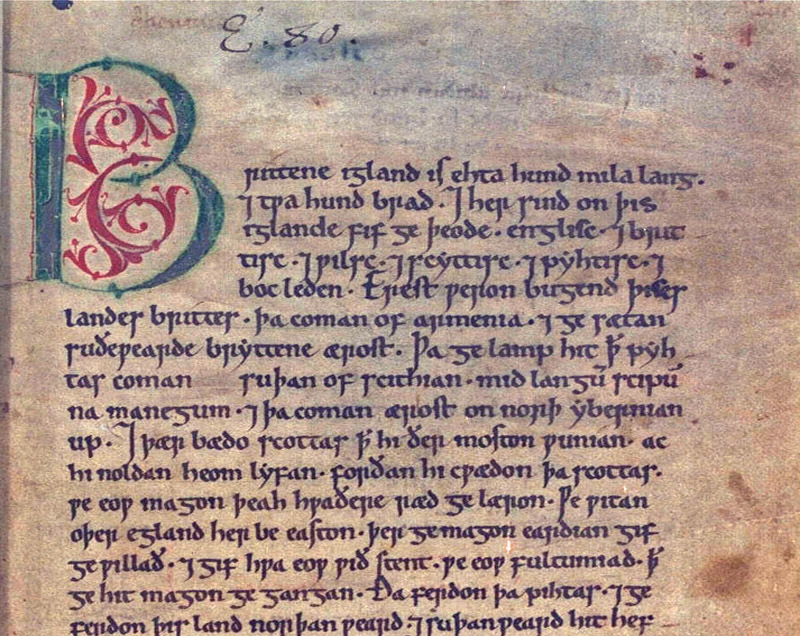 One of the main written sources for this time is the Anglo-Saxon chronicle. The chronicles make for an interesting read. In 626 there was an attempted assassination of Eadwin, King of Northumbria, in the Derwent Valley. The assassination was ordered by Eamer, King of the West Saxons, but it failed. In 848 a witenagemot, a national council assembly, was held in Repton. Archaeologists also found the bloody evidence of Viking occupation of the town in 873, which was described in the chronicle. Most evidence of the Early Medieval Peak District can be found in situ, although sadly very little remains today. The Normans caused a large amount of damage across the country after the conquest, both intellectually and physically, and especially in the north. The Peak District was a densely forested area, which was a hunting forest for Anglo-Saxon and Norman kings. Nevertheless, it still would have been inhabited by local people. Well preserved crosses from the 9th century can be found in Eyam, Hope and Taddington churches, although the crosses at Bakewell are perhaps most famous. 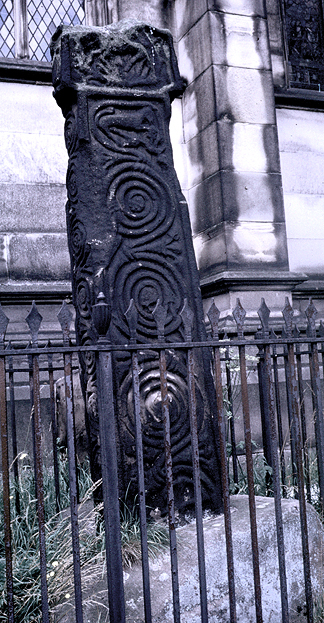 The church used to have various coped tomb slabs built into its walls, however, these were removed by Thomas Bateman and are now in the collections of Museums Sheffield. One of the challenges we face is linking to these monuments. Digital offers us the potential to give these items a gallery presence, but we could just as easily opt for photography, or even have a digital trail. Some of the other items that do survive are quite spectacular. 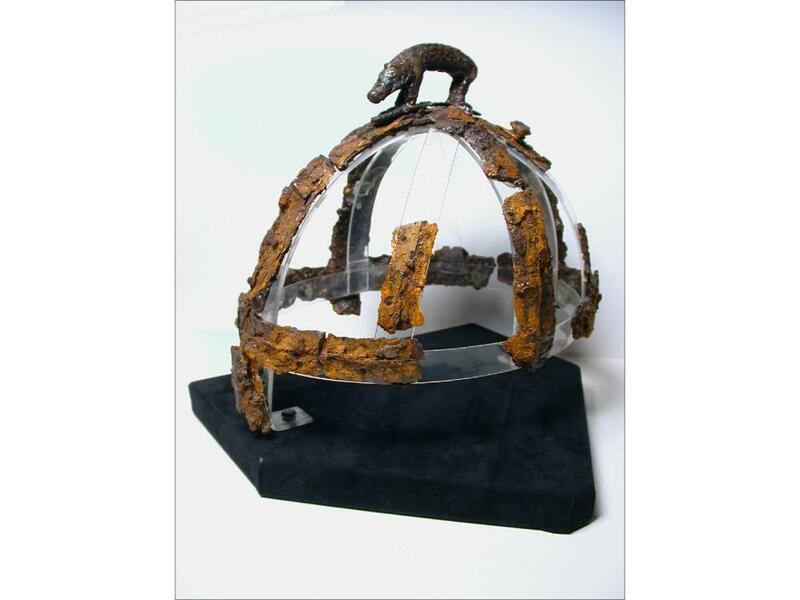 As well as the coped tomb slabs, Museums Sheffield hold a helmet, c. 650, excavated from Bentley Grange, near Bakewell. It is one of only four horn-covered helmets found in England. There were also possible fragments of chain mail, a ‘circular enamelled ornament’, a cross and cup remains found at this site. Sheffield’s collection is home to other items collection from barrows in Derbyshire, such as a bronze circular box from a woman’s barrow near Hurdlow, and a double edged iron sword from a grave mound near Brushfield. The British Museum, meanwhile, hold the Beeston Tor Hoard, which includes two complete brooches with intricate knot work patterns. One of our hopes for the new Wonders of the Peak gallery is to return these objects to the region in which they were found, be that physically or digitally. This entry was posted in CITL News, Collection work, Wonders of the Peak and tagged Anglo-Saxon, Early Medieval, History, Medieval, Normans, Peak District, Vikings, Wonders of the Peak gallery. Bookmark the permalink.